Transfer plans seem to be in somewhat of a limbo for Manchester United. Despite being linked to numerous names across the board and in several positions, nothing concrete seems to have emerged with regard to them as yet, following the recent arrivals of Diogo Dalot and Fred. While the World Cup is certainly to blame for this vague silence, United’s tendency to smokescreen big deals does bring into question even this apparent lack of activity. However, even with the names that the side has been linked with, one hosts an update that the Red Devils may not be all too eager to read. 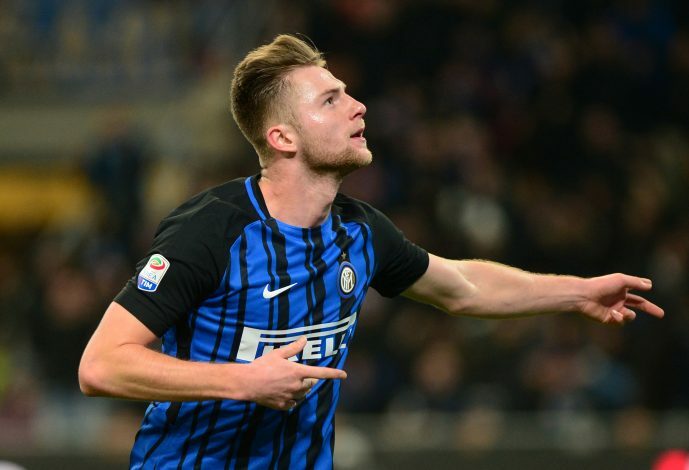 Over the last week, Inter Milan defender Milan Skriniar was increasingly viewed as United’s next big target, with Jose Mourinho in particular reportedly quite interested in bringing him to Old Trafford. The rejection of yet another deal is bound to be met with some grumbles by supporters, particularly considering that the 23-year-old centre-back was viewed as a viable option that the Mancunian giants could pursue in view of their woes with trying to attain Toby Alderweireld, whose deal is still left in limbo. Further reports from Gazzetta dello Sport also claim that Inter have instead convinced the youngster to sign a new deal, as they view him as quite a valuable asset. The report added that a speculated new contract worth €2.2 million a year will be signed by him, bringing up his current €1.5 million package and penning him to the club till at least 2023. This now leaves Jose Mourinho in a spot of worry, and one does wonder whether United will instead cave-in to Tottenham’s demands and bring in the talented Belgian.